Thoughtful cards to give to your friends and loved ones. This Made Me Think of You is a personal project that I worked on with my good friend, Ben Kertman. 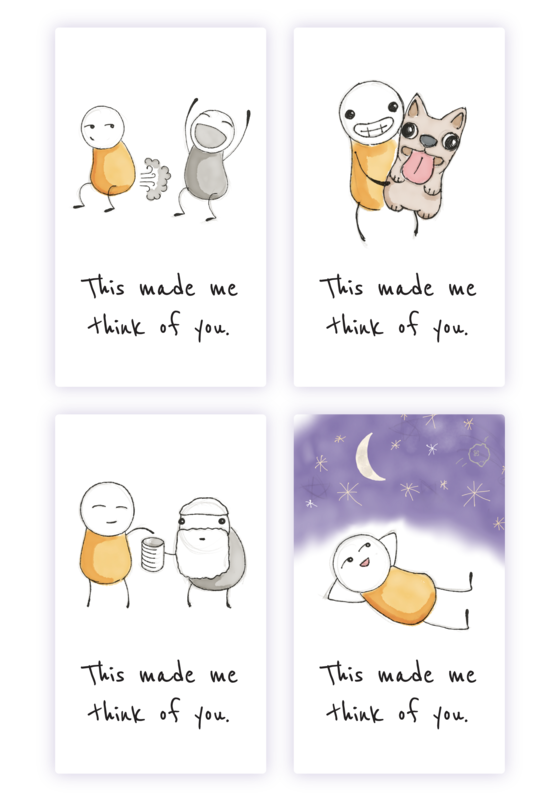 It's a set of cards that explores how one kind act can continue down the road to engender more kind acts in the future. Feel free to download the template here :). We weren't entirely sure what to make at first—we only knew that we wanted to brighten people's days in some way or another. But as we continued to brainstorm, we started to look beyond creating just a single, delightful moment towards creating something longer-lasting. Perhaps, we thought, this delightful experience could be passed on to someone else; perhaps it could strengthen a connection somewhere, between some people, that we'd never see. We wanted to represent a broad range of emotions—from frivolity, to aggression, to compassion—while strongly emphasizing pro-social behavior. It's less about what people are and more about what people do. When you browse the cards, they should remind you of that friend who dances on tables, or the one who helped you when you needed it most. Conversely, when you receive one, it should show you that the things you do are appreciated. 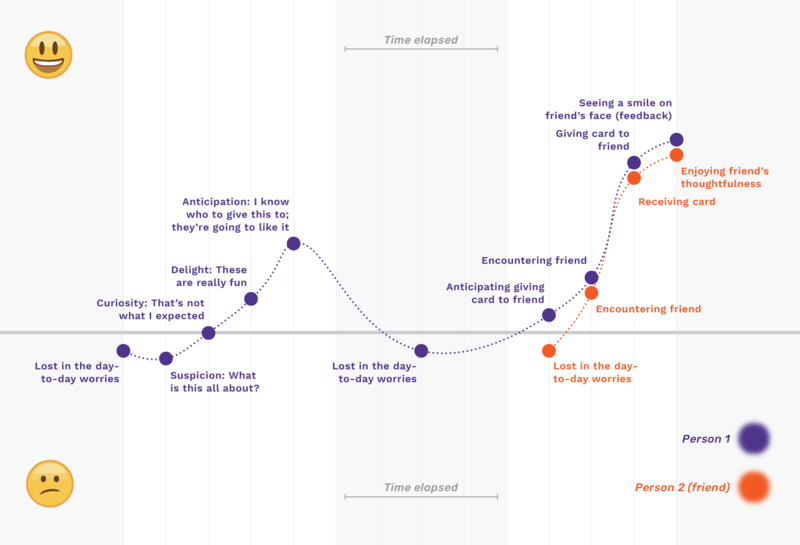 The designs are reduced as much as possible to give the emotions room to thrive. The images are abstracted (leaving out identifying factors such as race, gender, or body type) so that people's imaginations can inhabit the behavior, and at the bottom of each card is the simple, singular text: This made me think of you. Imperfections are left to bestow a sense of intimacy. We were happy to see that the purpose of the cards was immediately understood, wich freed people to focus on who to give them to rather than what to do with them. We set up shop at three different locations between Chelsea and Midtown West to make sure that we reached a wide range of demographics. The first location: Citizens of Chelsea, an upper-middle class hotspot with high LGBT representation. 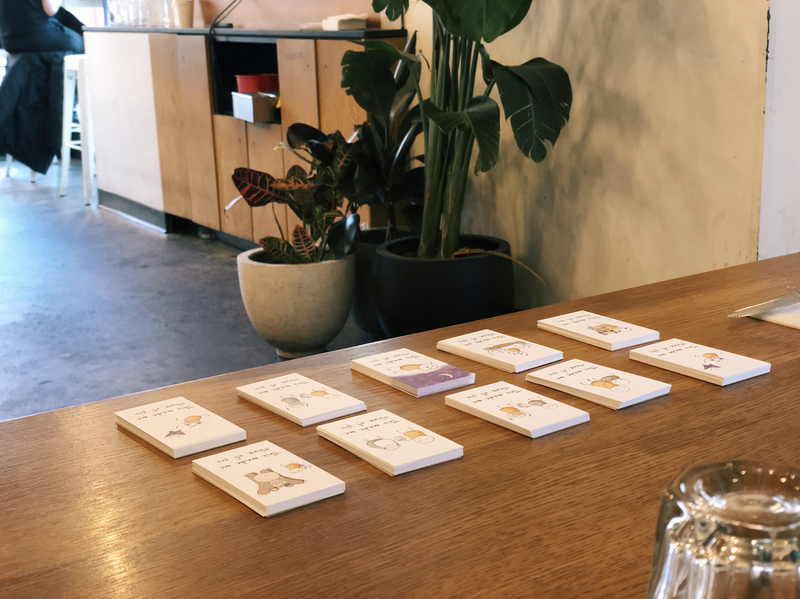 Here, we laid the cards out near the hostess stand and invited people walking by to take a few (the staff was very amicable). The easygoing setting also made it possible for us to approach people at their tables. It was humorous how incredulous some were at first: so accustomed to being solicited to, it took them a while to register that we wanted nothing in return. "Where's your name," they would ask. "Are you graphic designers? Why aren't you selling these?" But once we got past the initial defenses, just about everybody showed a surprising amount of warmth (as a New Yorker myself, this was most uplifting to see). 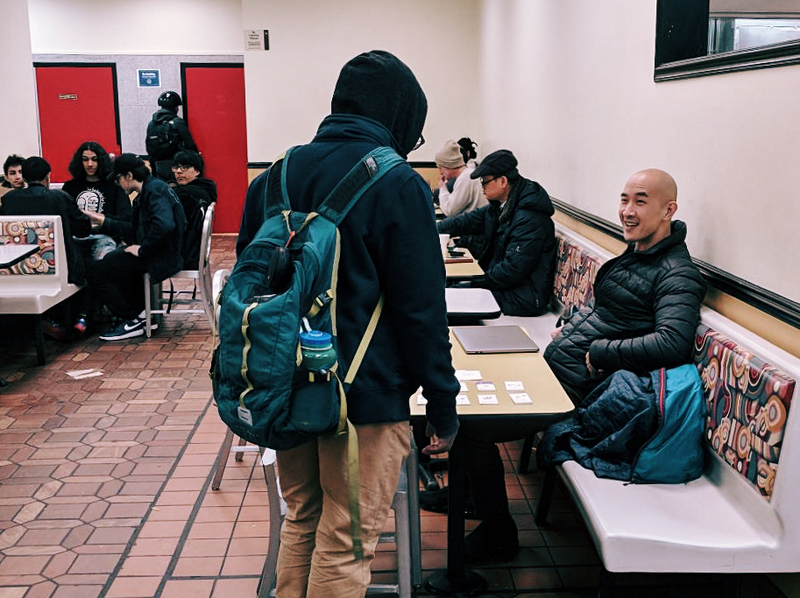 The second location: a Mcdonald's with lower-income minorities, many from the nearby public housing units. The reception was surprisingly positive here as well. Even those with the most toughened exteriors would show glimmers of delight; people from all backgrounds lit up as they discussed who they would give the cards to. 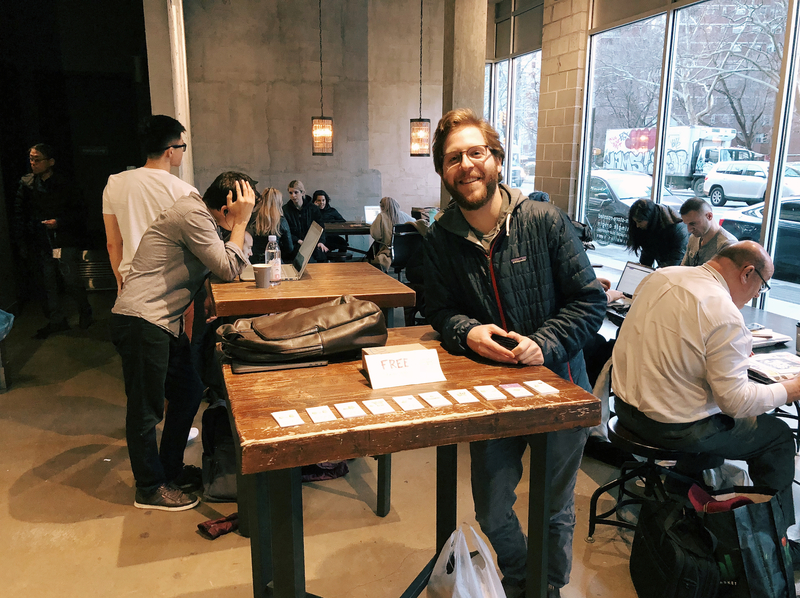 The third location: Bean & Bean coffee, filled with a slew of busy students and remote workers. It was here where we encountered our first difficulties with distribution. At first, we laid the cards out at a standing table near the main entry. However, the very fact that we were standing (along with the upright "free" sign) gave enough of an impression of solicitation that people kept distance from us. They couldn't see the cards well enough to become curious, and there was little we could say to make them approach. Sitting at a low table amidst a crowd of other tables was far more effective. We could easily strike up conversations with people around us and suspicions were significantly subdued. Interestingly, a woman sitting nearby wasn't interested until her kid started to speak to us, after which she became quite enamoured with the cards—particularly the farting one, which reminded her of her husband (this shows how such great social equalizers children can be...we really can learn a lesson or two from them). 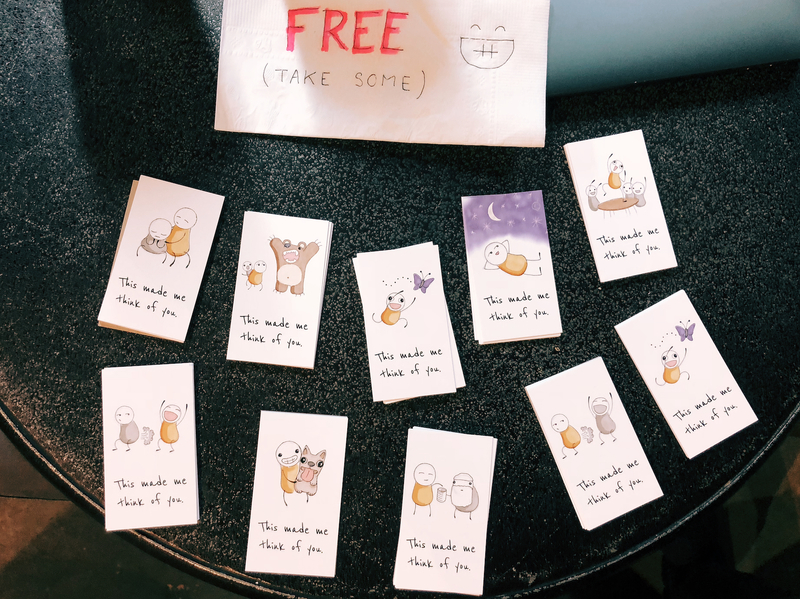 Our session ended on a high note: Just as we were winding down, a pair of women who we gave the cards to returned to the cafe to tell us, "I just wanted you to know that my day wasn't going so well until just now, but this completely turned it around." Hopefully this will happen for more people down the road as well, as friends hand them cards that say, "This made me think of you." We'll set up a website soon with a collection of free templates, for people to print as they please. In the meantime, feel free to download the first batch here :). 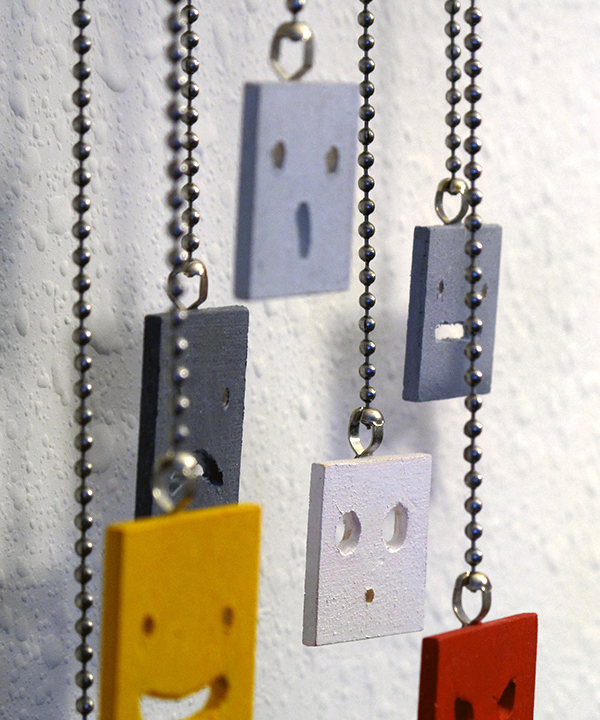 A timepiece for recording your emotional experiences.